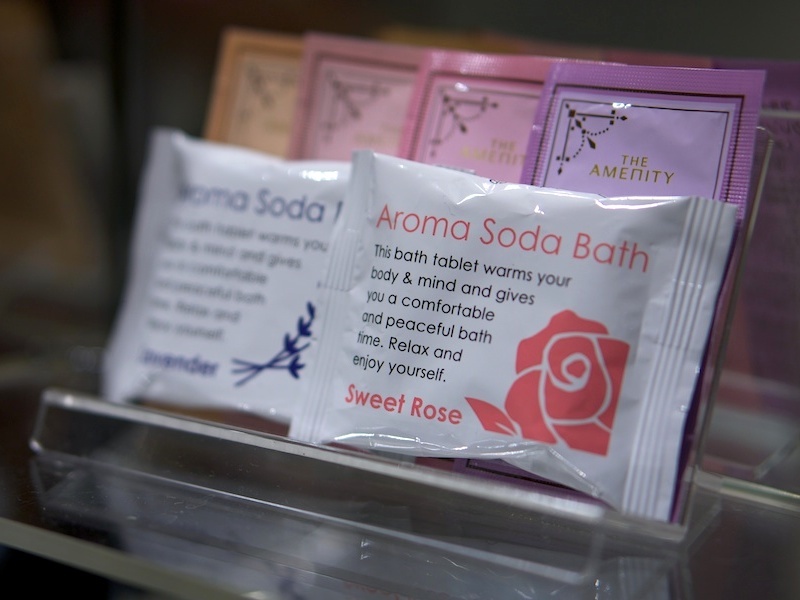 On my first trip to Japan I found these bath tablets as amenities in a Tokyo hotel (Mitsui Garden Ginza), and loved it so much that I even asked the front desk to sell me a couple more. They gave me about 4-5 extra tablets and charged 200 Yen or so. I kept them for years, only using one on special occasions. The lavender one was bluish purple – dark lavender color, and smelled very nice, but I got really crazy about the Sweet Rose tablet shown above. It made this nice, pink, clear water with a perfectly natural scent of rose. My rating: 5/5. I got this from a very nice person who told me this was the real deal. It is. The manufacturer is a Kyoto based company, Kousaido (香彩堂), founded in 1994, who seems to be known for their incenses and other scented products. The best thing about this bath salt is also its fragrance. As you can see from the link above, some room sprays and incense are available from this company in the West, but their bath products might be hard to find even in Japan, I couldn’t even find them in their own webshop.. I read on a site that someone bought them at Kyoto Station. You can also get some of their products from ebay. 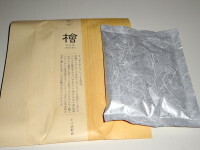 A 湯めぐりシリーズ (Hot water tour series) is the hot spring variety from the Japanese makers of the lovely Bath Roman salts, Earth Chemical Co., Ltd. There are several different boxes, I chose the one that has milky (nigori) type bath salts. 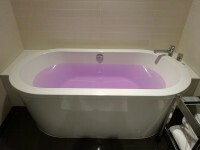 They don’t try to resemble the actual water in those onsen towns, just the scent of flowers in the area and such, and the water is also quite colorful. 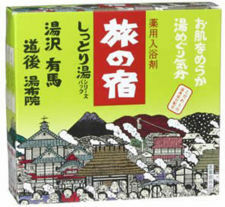 This, the Rotenyu meguri (露天湯めぐり) box contains 18 sachets, and four varieties. Oddly, these are made in China. The colors and fragrances are all very nice, but the texture is not so perfect as in previous products, the powder doesn’t dissolve easily/by itself. Still these are fun. 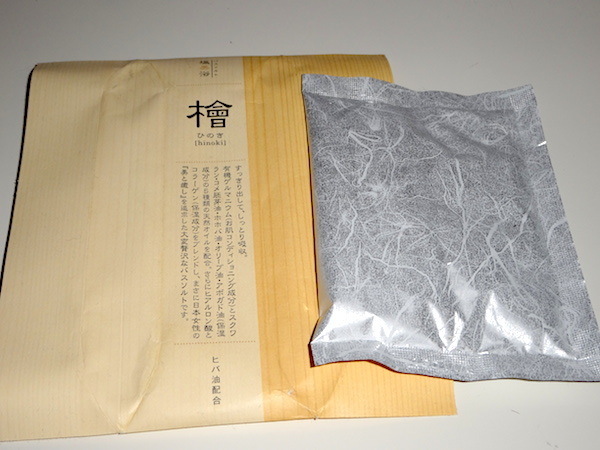 This is the 4th and last assortment pack from the Tabi no yado series by Kracie. 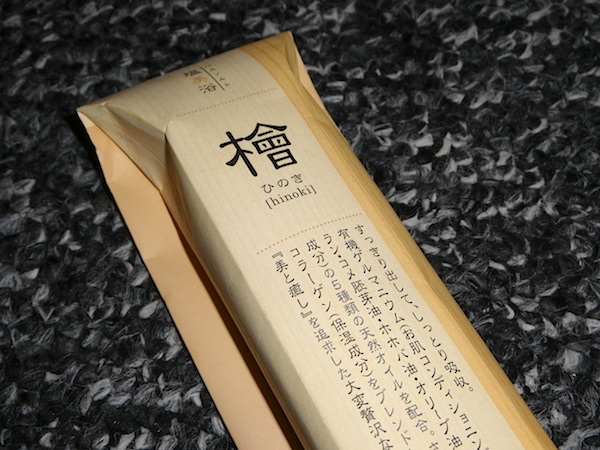 Shittori (しっとり) means moist, so these should be moisturizing. Two of the four hot spring baths are clear and two are milky type. I haven’t seen it any shop around here, they seem to only carry the milky and clear boxes (orange and pink), so I had to order this from Amazon for $20. 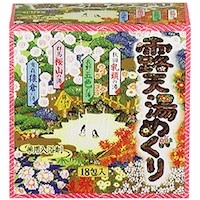 There are 13 sachets in the box, 4 Yuzawa and 3 each of the others, featuring famous hot springs.